Overdrive is an incredibly useful effect. To start with, it gives you familiar rock guitar tones, from subtle grit to crunch. On more complex setups, it can be used to add girth to an already distorted sound, and give your lead the cutting boost you need to take your solos to the next level. If you’re looking for the best overdrive pedals, check out our recommendations below! 95 out of 100. Incorporating 750+ ratings and reviews. 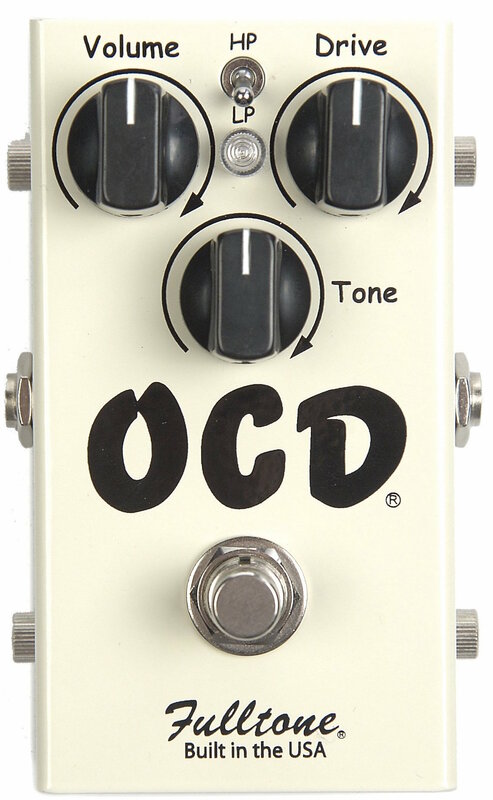 Fulltone’s OCD is arguably one of the most highly regarded overdrive pedals ever, and judging by user reception the OCD V2 appears to be a worthy follow up to the line. The cool thing about this pedal is that it manages to perfectly straddle the line between ease of use and versatility. The pedal comes with four controls: volume, tone, gain, and a hp/lp switch. The gain has a smooth sweep, allowing you to dial in both subtle, lightly overdriven tones as well as more traditional hard clipping distortion (and everything in between). The hp/lp switch (high-peak/low-peak) changes the voicing of the pedal, with high-peak emphasizing high-end frequencies and the low-peak mode retaining more of your initial tone. Another interesting feature of this pedal is its enhanced bypass, which is essentially a form of buffered bypass which is more transparent (doesn’t impact your signal) than standard buffered bypass. The pedal can be switched to true bypass via an internal switch. The Xotic Effects BB Preamp Overdrive Pedal is renowned for its open and transparent tone, as well as its powerful EQ and volume boost. The pedal is great as a stand alone unit and as a clean boost, making it a great choice for musicians looking for a pedal that can fill several roles in their rig. A key selling point of this stompbox is its volume control and EQ. The pedal offers a 30dB volume boost, which is great if you’re looking for pedal to help push a tube amp into overdrive. The pedal also offers a 15dB boost for treble and bass frequencies, which makes it a very powerful tone sculpting tool. At high settings, while not overly distorted, the BB gives a solid early rock/blues tone. The pedal was originally intended to mimic the tone of a Marshall Bluesbreaker, and it does a great job of mimicking the grit you’d expect from that model of amp. When it comes to overdrive pedals, the Klon Centaur is king. The pedal has gone beyond being a piece of gear to being a mythical piece of music history. Unfortunately… genuine Klon overdrives can cost anywhere from $1500 to $3000. Because of the pedal’s cost, numerous imitators have come out of the wood work to try to create a Klon Centaur that’s in the realm of possibility for any musician. And its hard to name a better option than Wampler’ Tumnus. The Wampler Tumnus is first and foremost a transparent overdrive, which can be a good or bad thing. A transparent pedal is only going to sound as good as your gear, so its not a good choice if you’re running a beginner’s setup. Like the Centaur this pedal is based off of, the Wampler Tumnus is also incredibly touch sensitive. The pedal is analogous to playing through a driven tube amp, cleaning up and distorting based on your pick attack. One thing to know about this pedal is that it’s not true bypass, which may be a deal breaker for some. 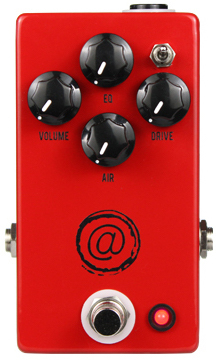 The pedal uses a buffered bypass, which boosts your signal even when the pedal isn’t engaged. 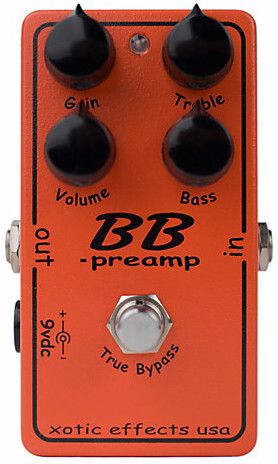 While not as transparent as true bypass pedals, buffered bypass pedals are great if you’re running a long signal chain. The most important thing to know about the Freidman BE-OD is that in a way it’s not really an overdrive, or at least not in the same way that a lot of the other overdrives we’ve covered are. Rather, it can be thought of as a pedal that emulates the Friedman BE-100 amplifier. The BE-100 is a British-voiced amplifier (Marshall), so think Jimi Hendrix, Led Zepplin, and pre-Fender amps Eric Clapton. The BE-OD is a pedal that somewhat simulates the response of the BE-100, including the tonal footprint as well as the overdriven tone. 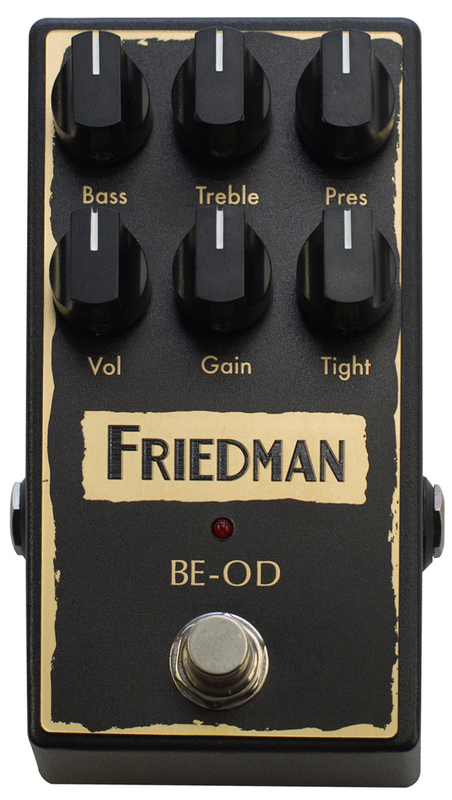 So essentially, the Friedman BE-OD is a great way to add some Marshall-esque flavor into an existing rig. The cool part of the pedal is that it also has a powerful EQ, allowing you to dial in your tone with a bit more fidelity than many other overdrives. The inclusion of the presence control is also a nice touch, as it lets you change the “flavor” of the high-end present in your tone. The only thing to be aware of with this pedal is that it does not take batteries, so if you choose to purchase it you will need a power supply. 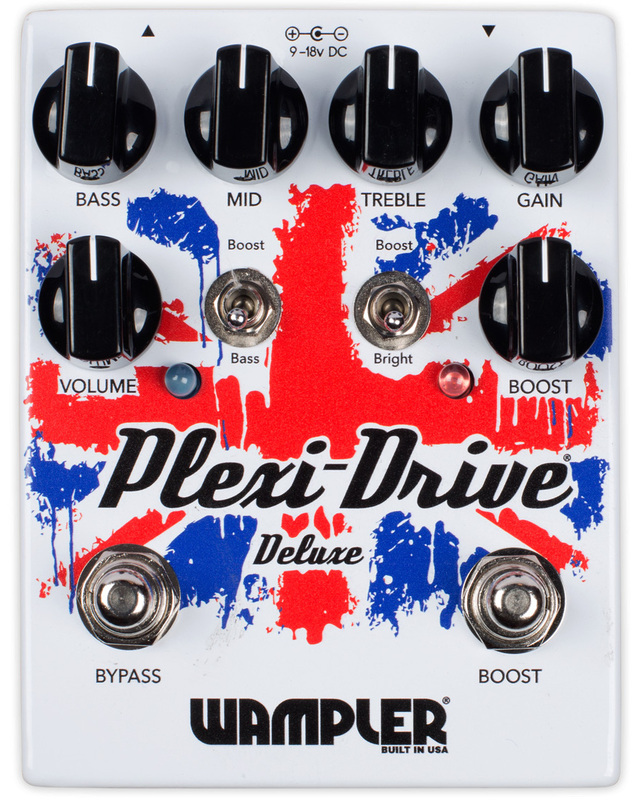 The Wampler Plexi Drive, named after Marshall’s line of Plexi amps, is an overdrive that straddles the line between overdrive and distortion. The pedal is based off the amp that made rock and roll, and because of this you can conjure up some great rock and roll grit if that’s what you’re after. However, the pedal also shines as an overdrive machine. Though the amps are more associated with rock acts, Marshall amplifiers are just as great as Fender’s when it comes to conjuring up drool-worthy blues tones. It’s great if you’re looking for a pedal that can give you low and moderate (classic rock tones) gain tones. An interesting feature of this cabinet, and one that makes it worth a closer look for bedroom guitarists especially, is the “low-boost” switch. The low-boost switch emulates the response of a 4x12 cabinet, adding in some great low-end thump that can otherwise be hard to get out of smaller combo amps. 93 out of 100. Incorporating 650+ ratings and reviews. The Ibanez TS808 is a re-issue of the original TS808, one of the most famed overdrives in history. The overdrive has been used (in at least one form or another, some of the musicians featured below used another version of the pedal), by a huge amount of famous musicians. Its warm tone and pronounced mid-range hump has made the Ibanez TS the secret weapon of countless guitarists. The most notable feature of this pedal is that it uses the same chip found on original Tube Screamers. Some musicians feel that the original chip was superior to those that came after it, citing it as having a warmer profile overall (every Tube Screamer has the same general tone, but there are slight variations between different incarnations of the pedal). The main thing to know about this pedal, and all Tubescreamers and Tubescreamer clones, is that they do have a strong mid-range hump. They are not transparent overdrives in any way, shape, or form. They still have a really good sound, but they will definitely color your tone to a noticeable degree. Though marketed as an overdrive pedal, the JHS AT (Andy Timmons) Overdrive Pedal is actually a combination overdrive/distortion pedal. Essentially, the range of gain on the pedal spans both classic overdriven and distorted tones. An interesting feature of this pedal is the wattage switch, which essentially acts as a headroom modifier. The pedal models three different wattage levels: 25-watts, 50-watts, and 100-watts. Gain (distortion) and compression increases with lower wattage settings while volume increases at higher wattage modes. The best thing about this feature is that, while the control itself does take some getting used to, it makes it easy to dial in a specific level of gain. You can get in the right ballpark with just the wattage selection switch, and then fine tune it with the drive control. Lastly, the pedal also comes with a presence control (labelled “Air”). Presence controls the voicing of the upper mid-range and high-end frequencies, allowing you to dial more brightness into your tone. 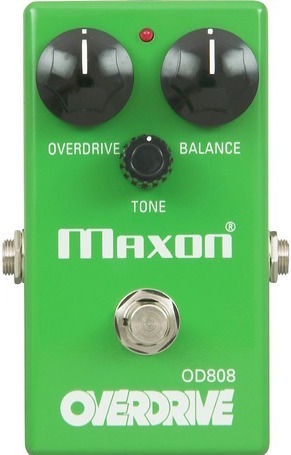 The Maxon OD808 Overdrive pedal is a copy of the original Tubescreamer, which was actually produced by Maxon on behalf of Ibanez. 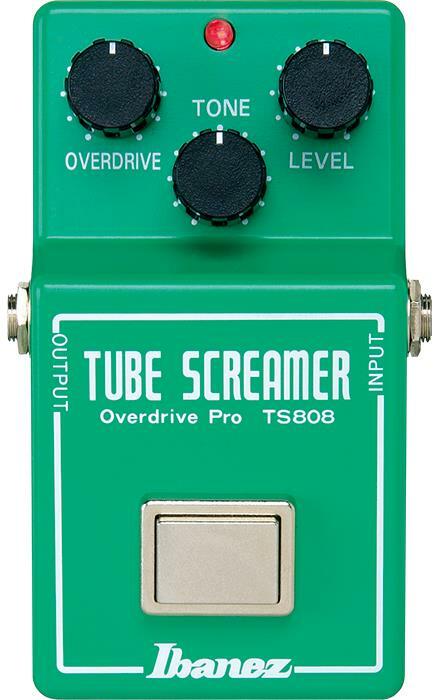 The OD808 actually uses the same chip as the original Tubescreamer, so it’s a great way to get the same response of the original pedals without shelling out the cash for a vintage piece of gear. The Maxon OD808 also comes with a blend control, which allows you to mix clean and distorted signals. This is a great to increase the girth of your tone, as well increase harmonic complexity. It’s analogous to using a two-amp system (though not quite as effective). Something to be aware of with this pedal is that it does have a strong mid-range hump and a noticeable low-end cut. This is great to tighten up the tone of darker voiced rigs, but if your rig is more brightly voiced it can make your tone a bit thin. Like the Tumnus above, the Rockett Pedals Archer Boost Overdrive is based off the famed Klon Centaur. 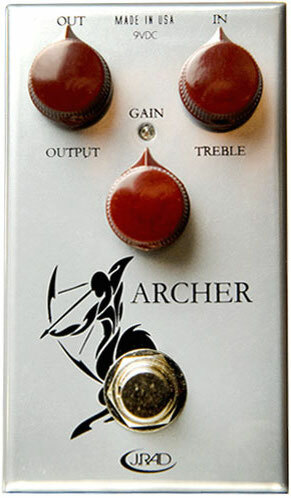 Like its basis, the Archer Boost Overdrive is a very clear and transparent sounding pedal, which is great if you’re looking for an overdrive that will allow the natural tone of your instrument to shine through. An interesting feature of this pedal is that it can also be used as a clean boost. When you turn down the gain all the way down it removes distortion from the circuit all together, which is great if you’re looking to push the gain on a tube amp or boost your volume for solos. An important feature of this pedal is that it has a more limited EQ than some of the other overdrives on this list, only boosting/cutting treble frequencies. However, this can be accounted for through the tone controls on your amp and guitar. 91 out of 100. Incorporating 1650+ ratings and reviews. 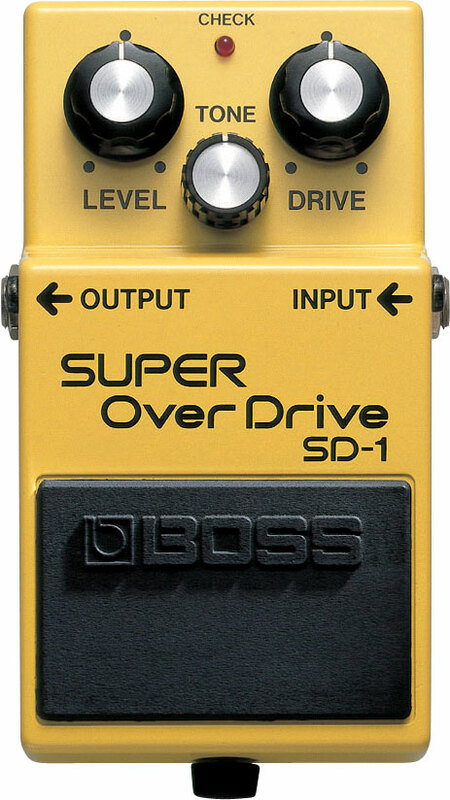 The Boss SD-1 is an affordable overdrive that can easily go toe to toe with the more expensive boutique options. It is a bit more aggressive and colored than the more transparent overdrives on this list, leaning more towards the distortion side of the spectrum rather than the organic tube-like overdrive other pedals we’ve featured. Tonally, think SRV’s tone on his more distorted songs (though he did use a two Tubescreamers rather than a SD-1). The cool thing about this pedal is how simple and versatile it is. It’s easy to dial in a ton of different tones, the range of gain on tap is useful in every setting, and when you turn the gain all the way down you can get a clean-ish (still colors your tone) boost. The TC Electronic MojoMojo is a part of TC Electronics analog line. 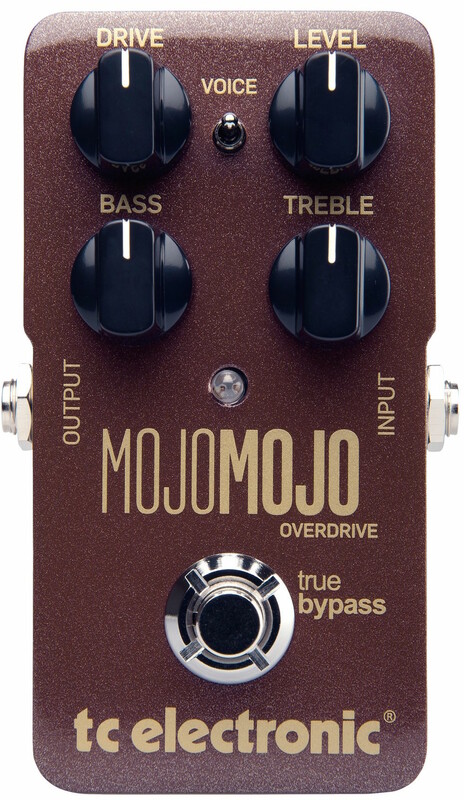 While the majority of the company’s pedals are digital, the MojoMojo is analog. Some players prefer analog construction, so if you fall into this camp don’t let the TC Electronic name dissuade you from trying out this pedal. The defining feature of this pedal is that it has an active bass and treble EQ, which means that you can both cut and boost treble and bass frequencies. This is a really powerful tone sculpting tool, and is also a huge bonus if you’re looking for a really specific tone (like Eric Clapton’s “Woman” tone). A bonus of this pedal is that it also comes with a “voice” switch, which allows you to either cut the low-end or boost it. It’s a great way to quickly change the tone of the pedal if you’re switching between different guitars, especially if you’re switching back and forth between humbucker and single-coil instruments. If you’re not very experienced with overdrive pedals, or you just want to brush up on your background knowledge before putting any money down, check out the sections below! The controls on your overdrive pedal will generally fall into three main categories: Gain, Volume, and Equalization. Gain (also referred to as Drive or Overdrive) controls the amount of overdrive present in your signal, with lower levels adding subtle grit to the tone, while higher settings apply more overdrive saturation. Volume controls the level of the signal, or how loud it is. Equalization controls, often referred to as tone, control a section of the frequency spectrum. A control simply labelled: tone, generally changes both low and high-end frequencies. Some pedals come with controls that only effect certain parts of the spectrum, like the mids or high-end (these controls are also generally labeled as the frequency they control). Overdrive pedals may not seem complicated at first glance, but believe it or not they can be a bit hard to work with depending on your gear and the controls on your pedal. Some pedals have so many controls that it can be hard to dial in a good sound, or the controls they do have can be counterintuitive. Conversely, there are also pedals that only have three controls. In fact, some of the most highly regarded pedals ever only have three controls. You may be asking: If some of the greatest overdrives of all time only have three controls, why should I bother with more getting more controls? Well, it depends on the tone you want and what you want to have control over. If you want to carefully sculpt your tone, a more feature rich pedal might be right up your alley. The only tradeoff is that it will take longer to dial in that tone. Whereas with a simpler pedal, it’s more of a plug and play situation. Pedals without a ton of controls may be less versatile, but they’re also easier to get a good tone out of when compared to a pedal with more controls (case in point for those of you who’ve read up on different pedals, the Boss Metal Zone). When looking at gear, many of us assume that more expensive pedals are always going to be better than their cheaper counterparts. In practice this doesn’t always turn out to be the case. Now, we’re not saying that people who buy expensive pedals are all a bunch of cork sniffers, because that’s not that case. More expensive pedals do have two specific benefits: versatility and durability. Expensive pedals generally come with more controls, or are engineered with a high-level of quality towards a specific purpose. They can cover more ground sonically, and they’re built with (as a general rule) higher grade components. They also have a tendency to isolate noise better, so you don’t get as much electrical interference. However, cheaper pedals can still sound just as good (or even better) than, they just may not be as versatile or be built with as good of components. A good example would be the original Ibanez Tube Screamer. It was affordable when first released, and it went on to grace the rigs of some of the most prolific instruments in the world. The same is true for the Boss DS-1 (though that is a distortion pedal, as opposed to an overdrive).